Gone Crackers | Fork off, heart disease! You could say, in a sense, that we have gone crackers. We are about to begin a 9h trek by car (over 1000 km) this weekend to see my brother the guitarist play at the Festival Interceltique in Lorient, France. This weekend trip coincides with the infamous ¨Black Saturday¨, where the entirety of France goes on holiday. Our plan is to leave at 4am tomorrow from our home in the Netherlands and see if we can beat most of the traffic. Regardless of the potential chaos, it´s going to be an adventure! In preparation for our epic travels, I have whipped up some snacks for the journey. I had bookmarked two cracker recipes at the wonderful Oh She Glows and never got around to making them. I really do not know why cause they are easy peasy and soo delish! 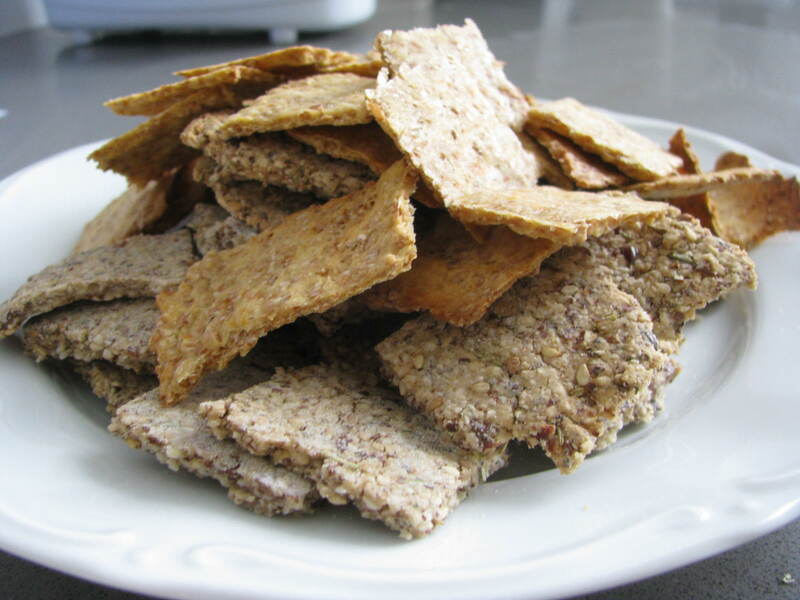 So here they are: presenting Easy Vegan & Gluten-Free Crackers and Homemade Wheat Thins. Gotta get back to making crackers for the kids lunches, thanks for the recipes!